I am checking in quickly since I didn’t post yesterday and left you with kind of a heavy one on Monday. is stored back in its place in the basement and I feel like I just finished a marathon. Such joy to have it all put away…even though all surfaces look quite bare except for the layer of dust and silhouettes of clean where Christmas 2018 once rested. I also did some evaluating and made notes in this year’s calendar that I hope I am proactive in following through on. One is to order Christmas cards earlier so I can get them addressed and to remember that it is much better to paint the annual ornaments in the summer than when I am trying to do a ton of extra stuff the week before Christmas. You would think I would learn on those two items right there…but every year I’m cramming it in to the final stretch. I was sad I didn’t get more of our traditional stack of favorite Christmas stories read to some little ones, so I made a note to come up with a plan to make sure we get to share that part of their mommy’s heritage with them. They are only little for such a short time and I regret that I didn’t get to read such classics as “A Wish for Wings that Work”. Which I have read multiple times over the years and still can’t get through without crying. 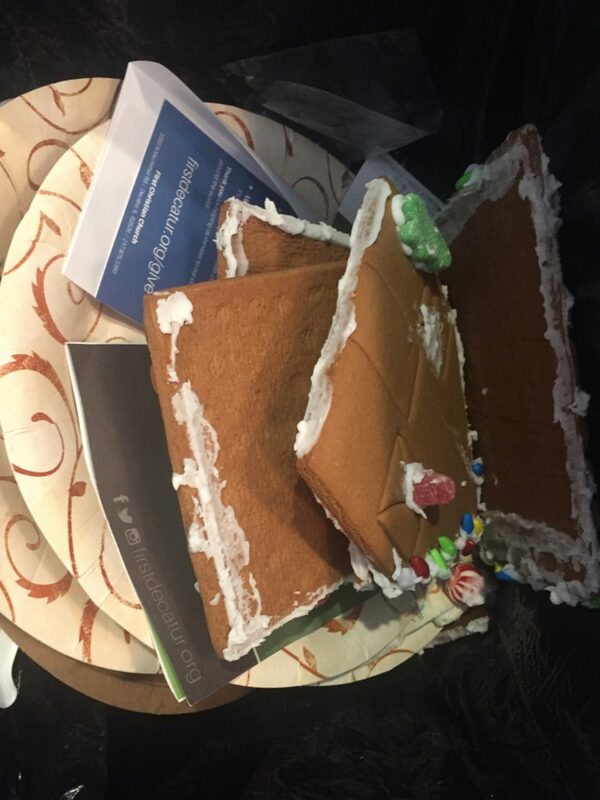 I also made a note to NOT purchase a gingerbread house kit. It would seem the debacle of this years would be embedded in my memory sufficiently to keep me from repeating the event, but I know me. I get all fuzzy brained and hopeful as the shiny things start appearing around the malls and grocery stores. 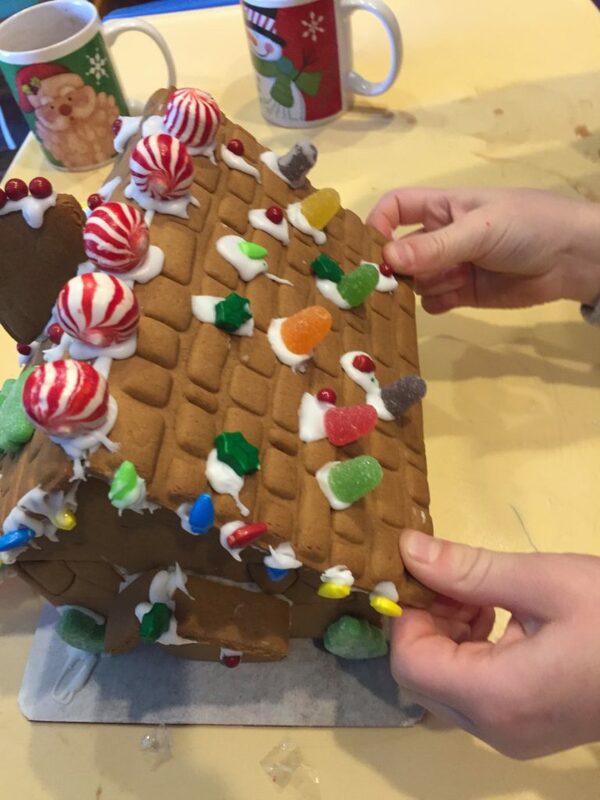 I see other people’s pictures and it looks so fun and I forget that the kids just want to eat the candy and the icing is disgusting and my perfectionism and desire for order always struggles as we try to form a perfect little cottage out of irregular pieces that came off an assembly line. And then there is the dilemma of how to display and store this mess that will start collecting dust and eventually have to be pitched, which will make me feel guilty because…creative works are hard for me to discard. So, for me, no thank you Gingerbread Kit people. Some of us were not called to construct dwellings made of food and I accept this as my fate. I will happily love all the photos of other’s adventures and I will remind myself that there is no need to envy what in reality is not a fun thing for me. With that, I bid you farewell and wish we could sit over a cup of coffee and a bag of unused gum drops and you could tell me what your do’s and don’ts for next year might include. Drop me a comment if you want to share…and as always let me know if it’s just for me or for others.